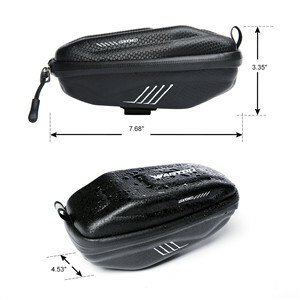 Wantdo bike saddle bags are professionally designed to help bicycle riders to enjoy a more convenient and pleasant cycling experience. Enjoy your pleasant cycling with Wantdo bike bags! 7.68x4.53x3.35 inches(L*W*H). 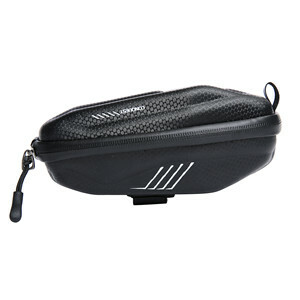 Suitable for holding small biking accessories,such as repair kits and bike tools. 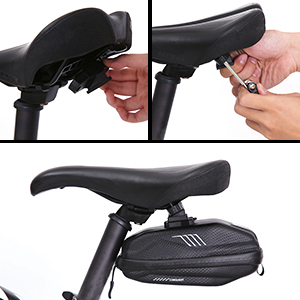 Comes with a installation screw board with sliding clip,making it easy to firmly bag onto your bicycle.